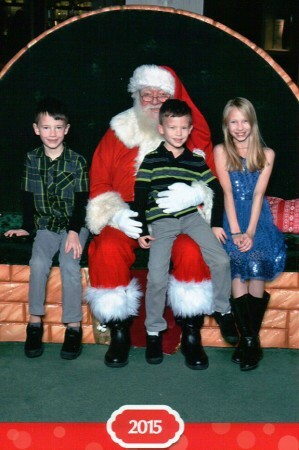 We went to see Santa at our local mall this past weekend. When I told Juliana that we were going to see Santa, she told me that she was too old to have her picture taken with Santa. However, when it was time to leave for the mall, she had changed into a pretty dress, added accessories and fixed her hair. They were all cooperative, smiled, and chatted with Santa. A quick and easy visit this year. 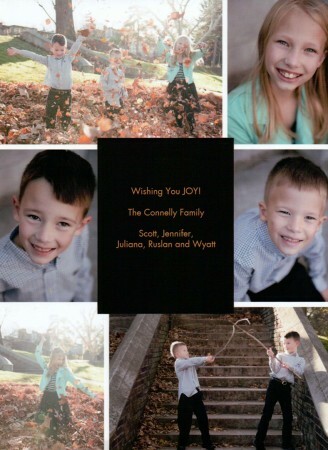 Merry Christmas from the Connelly Family!